Spring has arrived and it’s the turn of the Spooners & West Dartmoor Hunt to host their meeting at the picturesque track known as Cherrybrook, near Tavistock this coming Sunday April 7th. 95 entries have been received for the eight races on offer with a start time of 1.30pm. The course offers picturesque track-side viewing with many trade stands on offer. Hot and cold food, bar and bookies are also on offer. Entrance to the course is £10 per person to a max of £30 per car load. Children under 16 free. Dogs on leads welcome. Directions are signed from A386 North of Tavistock. PL19 OLA. 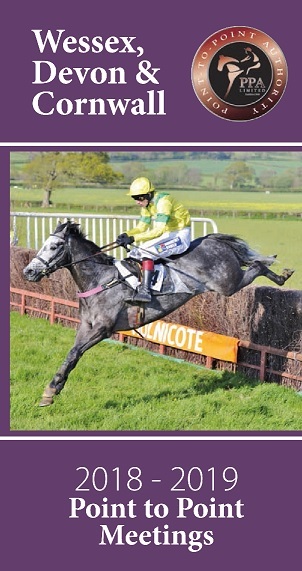 The popular local grey Dicky Bob has been entered in the opening Condy Mathias-sponsored Members race. He took this race last season here as a walkover and then went on to win the Mixed Open. Trainer Verity Nicholls has only entered him in this race here with his challengers all holding entries later in the day. Recent Kilworthy winner Ballyvodock is an eye catching new recruit for the Gordon Chambers yard, and could be the one to tackle Dicky Bob here. It’s All Or Nothing is already a three times course winner here but connections may choose the later Confined race, whilst entry Clondaw Bunny was held in second at Kilworthy to Ballyvodock, and could be another to bypass this race for the Confined. Two divisions of the Open Maiden race follow, with 16 in each division. Tyre Marks Tavistock sponsor the first in which Neetside for trainer Jill Dennis stands out having finished two-lengths second to Isla’s Dream at Buckfastleigh and has the benefit of a weight allowance. Banco de Logo’s for team Summersby is another to note having finished in the frame twice this season with a second and third at the Buckfastleigh track and has had a seven week break to recover. In the second division Could Be Better (Stuart Sampson) has previous place form in Ireland, and Thewinnertakeitall for team Summersby has hinted at ability running second at Great Trethew behind Skinflint in February. Every Breakin Wave another out of the Claire Hitch yard, is the highest rated in the Cherrybrook Chance Conditions race having won three races in 2017, but needs to re-kindle that form. Kernal Victor is another to stand out in the conditions race having clocked up some decent form including three Men’s Open races in 2017, trainer Ed Walker could get some improvement on his recent place form. Entries in the Barriers International-sponsored Mixed Open race include the two classy mares Wind Tor a previous course winner here for trainer Ed Walker, and recent Buckfastleigh Open winner Whenharrymetsally under jockey Matt Hampton. Also top rated geldings The Last But One for Tom Malone has good previous NH form, has taken three Points this season and finished second in a Hunter Chase at Leicester in February, he will need to defy top weight here. 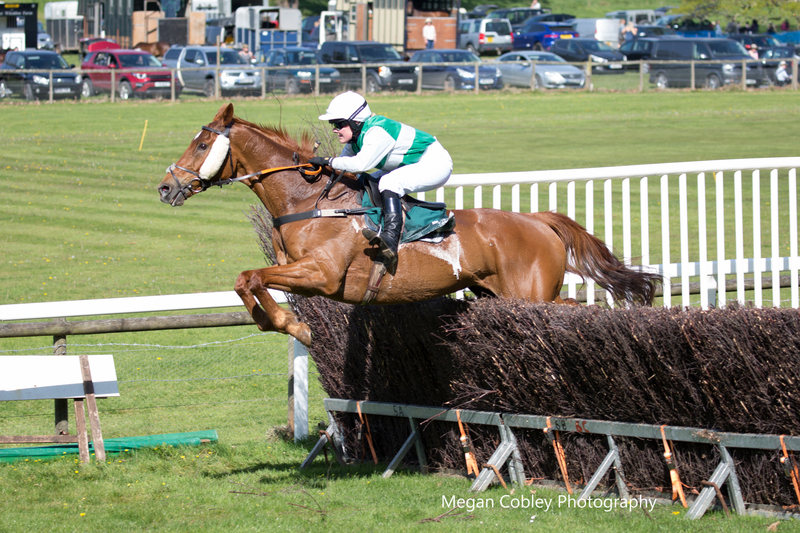 Also Minella Fifty (Claire Hitch) has won 11 points to date including three at Axe Vale where he won the Mixed Open last April under Will Biddick, he goes well fresh and could be the one to lead the mares home. River Myth from the Stuart Sampson team and It’s All or Nothing (Charlotte Rowe) are ones to note in the Rock Inn-sponsored Confined race, both having won this season. River Myth took the Conditions race at Milborne St Andrew with a seven-length comfortable win under jockey Darren Andrews, and more recently two-and-a half lengths second to Navanman at Charlton Horethorne. It’s All Or Nothing won this race in 2017, and this season scored a four-length win at Buckfastleigh in February, then was an unfortunate unseat for jockey Jo Supple in the Mixed Open at Charlton Horethorne when looked to be travelling well. 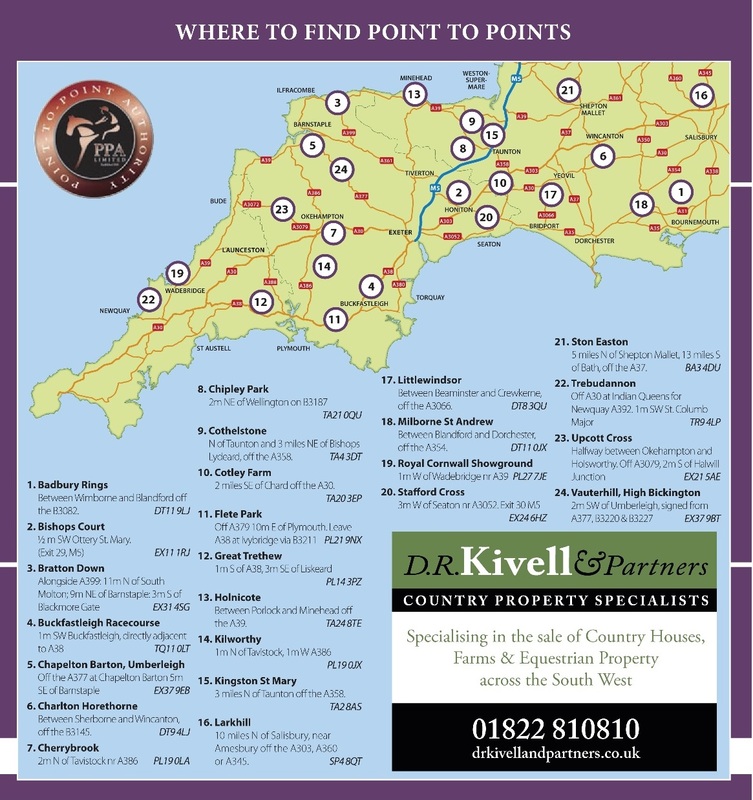 Exeter Racecourse sponsor the Intermediate race which has attracted 15 entries, these include Buckfastleigh and Wadebridge winner Cloudy Music from team Summersby, he could be taken on by Kilworthy winner Ballyvodock if trainer Gordon Chambers chooses to bypass the earlier Members race. Finally up is the Active Services-sponsored Restricted race in which Minimalistic (Nikki Frost) could put up another fine performance having won at Buckfastleigh on two occasions this season, winning his maiden comfortably 15 lengths ahead of the field in February under Josh Newman, then followed that up with a win in the Members race at Kilworthy two weeks ago. He looks ready to progress and please his owners Susan & Edward Darke. Soul Kaliber (Dean Summersby) could be another winner on the board for jockey Darren Edwards, if improving on their seconds at Kilworthy and Cothelstone.